Franco Baresi was the first player to take a penalty shootout in the final match between Italy and Brasil in 1994. Unfortunately he missed the penalty. Italian footballer and captain of his team blasted the ball over the bar. 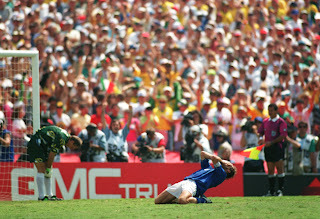 Roberto Baggio missed the final penalty as-well.